Riga is the biggest city on the Baltic between St.Petersburg and Hamburg. It was a Hanseatic port where east met west, trade was done and craftsmen thrived. Once the town’s ramparts were demolished in the mid-19th century, there was a bold plan to transform that land into a circle of green space and boulevards, as in so many German-influenced cities. This legacy is still enjoyed by citizens and tourists: high value land close to the city used for public enjoyment rather than private profit. The city then spread with style beyond this ring: the extent and quality of the Art Nouveau architecture testifies to the wealth and culture of Riga before the First World War. Riga’s physical fabric suffered surprisingly little damage from the horrors inflicted on Latvia during the Second World War (occupation by Russia, then by the Nazis then by Russia again). Riga became a Soviet city. The stamp of Stalin is still evident in the townscape, not just in the skyline “wedding cake” of the Academy of Sciences, Moscow’s familiar fraternal 1950s gift. The main built environment legacy of Soviet era is the suburban panel-construction flats from the 1970s and 80s, enduring signifiers both of the old regime’s losing battle to nurture acceptance and of its determined importation of ethnic Russians into Latvia. After Latvia regained its independence, and embraced market forces, Riga produced a ten year development plan in 1995. Heritage preservation was a key aim. 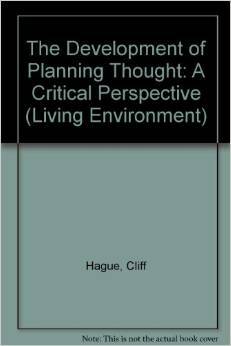 As a review of the plan reports, the policies and principles were not always “consistently observed in practice”. The historic environment in the city centre “has not been adequately protected against unfavourable development tendencies”. City development policy became “secondary or even non-existing (sic)”. Development pressures mounted, there was no time to prepare detailed plans for the historic core, frustrated developers lobbied local politicians, and decisions became politicised. Mixed use had seemed an exciting new concept in the heady days of 1995, but the failure to carry through into Building Regulations basic controls on illumination, noise, air pollution and traffic generation created very practical problems. There was a tendency to set planning policy aside in favour of the economic benefits that a development would bring, not least to the local authority itself. Eventually there was a public backlash, led by the Environment Protection Club, and a moratorium on development pending the adoption of a plan. In fairness, the location of some of the largest commercial developments was on the periphery of the historic core, and a credible case could be made for them. The Origo shopping centre adjoins the Central Station on a site intended for the railway’s passenger terminal in the 1995 Plan; nearby the Stockman complex of shops and cinemas developed on land planned for “transport infrastructure”. However, there has also been loss of green space for car parking and an extension to the National Theatre. Given the numerous edge city retail parks, the lipstick on the urban collar of consumerism, the city centre shopping galleries look functionally sensible. So many of the users are the multitude of young women working in the new service industries in the historic centre, their jobs and appetites for shoes, clothes, coffees and mobile phones unimaginable to the elderly men who ran the Latvian Soviet Socialist Republic. Overall my impression is that Riga’s planners have done a better job, all things considered, than in some of Europe’s other post-socialist cities. The World Heritage status of the centre remains justified. Tourists flock to see it. There are delightful narrow lanes adding intrigue alongside the grander ecclesiastical squares. The grassy banks of the city canal provide repose despite the heavy traffic nearby. Where there has been new development within the once-walled area, existing building heights have been respected, though elsewhere the egotistical architecture of big business is making its mark on the skyline. In all of this it is important to remember that Riga has undergone strong economic growth over the last 15 years, notwithstanding the serious slump that hit in 2008. Latvia as a whole has lost an estimated 300,000 of its 2.3 million population to international migration, but Riga, by far the prime city, has kept the national economy afloat. However, the scale of the regional imbalance and the pace of depopulation in the remoter rural regions in the east of the country are creating a different crisis. I was speaking at a conference on regional growth, in the town of Valmiera, about 90 minutes drive from the capital through woods and forests. The event focused on the “9+21” development strategy proposed in the Latvia 2030 sustainable development strategy, and endorsed in the new National Development Plan that was adopted last year. In essence this proposes concentrating public investment (notably EU Structural and Investment Funds) on 9 main towns and 21 smaller ones. The rhetoric is that these places will function as regional growth poles, spreading the benefits to their weaker rural hinterlands. Predictably, there were expressions of anguish from representatives of the villages and small local authorities. Civil servants in Riga visit such about as often as government officials from London make a trip to South Shields. Latvia represents today’s global development challenges in microcosm. The young and able, especially young women, are moving to the cities, where there are education opportunities and service industries demanding their skills and offering the lifestyle to which they aspire. Urban land is needed for offices, apartments, logistics centres, leisure complexes and shops perpetually re-stocking designer-ware and gadgets as last year’s models become obsolete. Riga today is more like Paris, New York or Shanghai that it has ever been, economically, socially and culturally, and its planners and designers have to keep up with the pace. The secondary cities – places like Valmiera – hang on, often with distinct strengths; in the case of Valmiera, an excellent local brewery and a university committed to being an active partner in regional development. But beyond them, in the fields and the forests, fewer and fewer men labour, and the villages lose their means and reasons to exist. I doubt that the 9+21 strategy will be able to save such places. 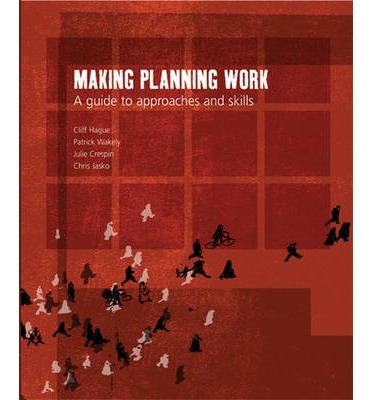 This blog ws first posted on the Planning Resource website on 20 May 2013. As you know Cliff, I fell in love with Latvia many years ago when I first visited. I have visited many times subsequently and still marvel at the beauty, the diversity and the history of this fascinating country. Riga is indeed a jewel and is one of my favourite cities. However, much of my time has been spent outside Riga particularly in Kurzeme, Vidzeme and Latgale (I must try and get to Zemgale more often!). 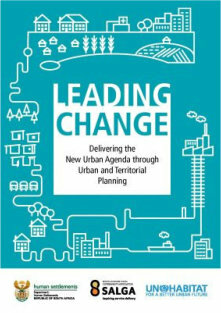 The title of your piece, challenges for urban and regional planning, could not have a more appropriate context than Latvia, particularly in relation to regional development. Years of rapid economic growth driven by the Riga capital region created some of the largest disparities within the country of any member state in the EU. The financial crisis commencing in 2008 plunged Latvia into the deepest recession in Europe and the response to promote recovery has exacerbated the internal disparities between Riga and the rest of the country even further. National and regional development policy in Latvia have always had a tough balancing act between promoting the growth of the national economy through a buoyant and dynamic Riga and promoting more balanced patterns of development by supporting development in the regions. Latvia provides the model example of the EU wide tensions of trying to simultaneously pursue cohesion and competitiveness. In the Latvian case, the rhetoric has always focused strongly on cohesion and more balanced patterns of development whereas the reality has always focused on the competitiveness of Riga, which as a result has become increasingly dominant in terms of economic development and human resources but also in terms of social and cultural capital. Achieving more balanced patterns of development in Latvia cannot be achieved without considerable political will and the elaboration of powerful national and regional policy instruments. The recently approved National Development Plan is the latest in a long line of strategic documents that try to promote the simultaneous pursuit of national economic development with more balanced regional development and two of the three NDP priorities illustrate this. Though it is still early days, I fear that the growth of the national economy will once again be dominant in comparison to the growth for the regions. Institutional capacity remains a crucial issue and has been identified as fundamental to the future competitiveness of the country in the Latvian Competitiveness Report 2011. The institutional reform of 2009 has gone some way to addressing the shortcomings of the institutional system inherited from Soviet times and it is important that a period of stability now ensues so that the effectiveness of the new structure can be evaluated in a meaningful way. Ongoing institutional reform and debates about further reform creates uncertainty and an unstable context for policy formulation and implementation. 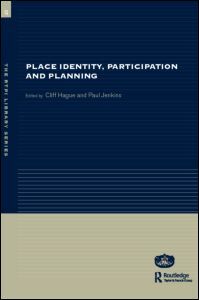 The long running debate in Latvia about the role of the planning regions needs to be resolved so that effective and stable governance structures can focus on applying more effective implementation processes and mechanisms. 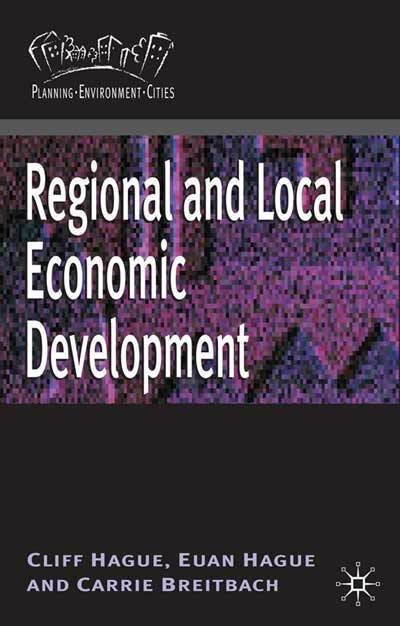 If they are to be effective, the institutional capacity of regional structures needs to be strengthened significantly so that they can play an influential role and help to shape their future development trajectories. The climate of austerity and budget reductions in the public and private sector is likely to prevail for much of the plan horizon for the NDP and this provides an extremely challenging context to strengthen research and education which are essential preconditions for sustainable economic growth in the medium to long-term. The danger signs from other mono-centric countries such as Ireland provide insights into a potentially scary future where Riga becomes too congested and expensive to be liveable and its global competitiveness declines in comparison with other cities in the Baltic Sea Region and further afield. Maybe a more gradual approach to economic development that promotes more balanced patterns throughout the country would be more sustainable in the long run. It could potentially provide a more prosperous future for Latvia, its capital city and its beautiful regions. I hope to return to Latvia many many times in the future. I have visited some amazing places and met some amazing people, a number of whom I now consider good friends. I am also considering applying to the Latvian Tourism Development Agency for some sort of commission as most of my family have now also visited Latvia on my recommendation!!! Huge challenges remain in Latvia and the future is unlikely to be easy. It is to be hoped that policymakers in Latvia can address these challenges in a strategic manner and build on the unique characteristics that make Latvia special. Thanks a lot about your insight, such opinion from "the side” is invaluable! Thanks for reminding the value of having public areas around the centrum of our capital city! Too often we forget it ourselves. 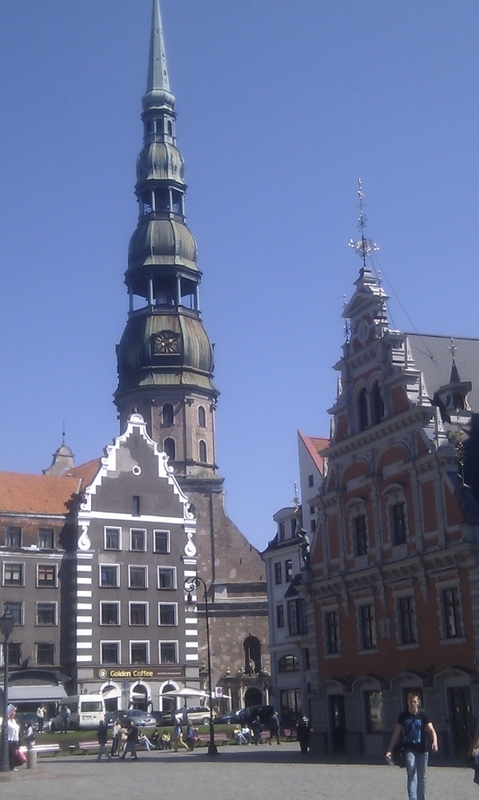 About the performance of Riga during the times of crisis – it seems that, contrary to many other European countries, Riga economically suffered more than other Latvia. City experienced the fastest decrease of inhabitants in the world (compared to other cities) and major part of Rigans left the country, only smaller part moved out to suburbs. Percentage of Riga’s input in national economy shrinked during the crisis – and to me it seems that Riga now looks more run-down than smaller cities and towns in the country. Opinion polls show that people in the countryside and smaller towns are economically much more active and ready for changes than in the city. But they lack the natural benefits of the city (population density, mutual inspiration etc.). It seems that Riga now is less similar to Paris than it was 100 years ago. Back then locals were able to accept and use latest trends in architecture and technologies and even be ahead of time, now – not anymore. Thank you Cliff Hague for that article. I'm a new arrival in Riga for the last year from the US. I'm a professional research scientist and solo parent of a now 4 year old. I chose to live in the Riga city center as the location most able to support my home office and academic activities and childcare support and it hasn't disappointed, especially in the ways I need: I discovered that Riga is a much more child-friendly city than other European cities I've lived and orders of magnitude more child-friendly than the college town that I just moved away from in the States. The things I appreciate: wide sidewalks ... Riga is a walkable city, beautiful parks, many with good playgrounds, super public transport .. I never need to wait more than 10 minutes for a tram/trolley/bus. You don't need a car in the city. Bicycles work fine all year round, even considering the icy periods (bikes are permitted on the sidewalks). My Latvian is just in the beginnings, so language is an issue for me, but many speak English. Economically: you can see the struggle with the turnover of new shops, cafes. Culturally, the city is very active. There are celebrations and festivals of one kind or another every couple of weeks. Theatre, orchestra, ballet, with components for child entertainment, and if a parent like me needs more: year-round circus. year-round puppet show, Riga Zoo, Natural History Museum. Curiosity Museum, Sun Museum. Huge recreational area of Mezparks. To help parents out, I've noticed a flourishing of play areas physically located inside of restaurants. The one square block around my daughter's daycare has five of those kinds of restaurants. Even the 24-story Radisson Blu Hotel has a play area for kids in its lobby. And if you want to go shopping, every shopping mall has a play area, where your child can play, watched by an attendant, why you get your errands done. One thing with respect to property that might be unique to Latvia is the fact that property is split between the dwelling above and the land below. The result of the land reform after Latvia regained its independence and allowed Latvians who owed property before Soviet occupation to reclaim their land. It's made the real estate situation in Latvia very messy, and I understand that there is a trend now to have dwelling above and land below combined in the newer developments. There are flourishing industries to manage the 'split' situation too: lawyers, property assessors, speculators who buy up 'ideal plots of land' under large property developments. The situation with property in Latvia is that if you buy a piece of property worth 150,000 euros or more, then you gain long-term residency (not citizenship). That is still of considerable value for life in an EU country which is aiming to adopt the euro next year. And it makes the real estate market extra strange (on top of the situation with land below and dwellings above being split). There are Russians flush with cash who do not need a mortgage. That's exactly my own situation applying for a mortgage at this time as a Latvian citizen for an apartment with a sale price slightly above this number. I know precisely that there are people in line behind me ready to pay with cash if I don't succeed.